Location: Apchon, in the Cantal departement of France (Auvergne Region). Built: 12th to 15th century. Notes: Château d'Apchon is the old medieval castle of one of the most powerful and considered among the most noble families of Haute-Auvergne. 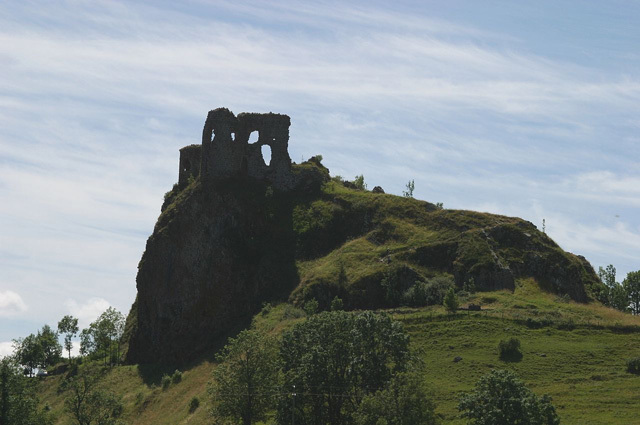 It is located on a puech overlooking the village of Apchon Cantal. It was listed as a historic monument by decree of February 24, 2012.